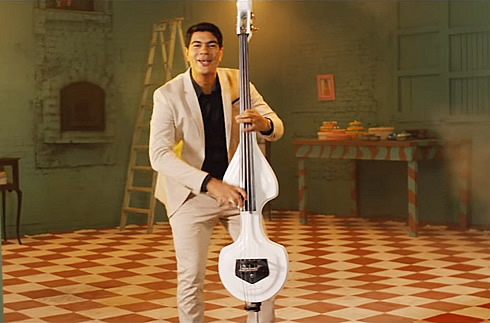 So coooolll... check out this new video from an rising-star group: Orquesta LA TABLA de Cuba. It feature's the band's new hit "El Panadero" from their upcoming album. 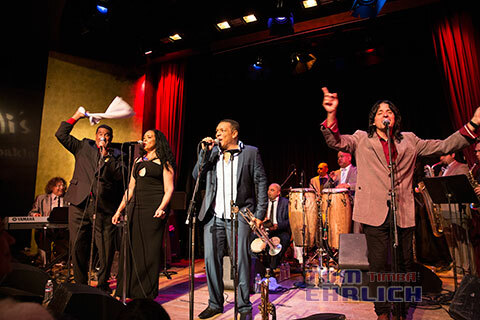 Orquesta La Tabla was founded in 2007 by bassist, arranger and composer Yadiel Bolaño. Since its inception, the band counted on young musicians that graduated from music schools in Cuba, where they were influenced by jazz, art and of course different styles of Cuban music. Their first CD -- self-titled -- La Tabla de Cuba, was recorded on the Colibrí label and includes thirteen tracks plus a video clip "El Chance" and the "making of" of this recording , audiovisual both under the direction of Angel Alderete. In 2016 they began working on their secind album and released its first single "El Panadero" (the bread baker) along with a video by acclaimed director Joseph Ros. For more info and pics on LA TABLA be sure to check out their group page plus photos and galleries. Bien caliente te lo traigo pa'l gusto del mundo entero! 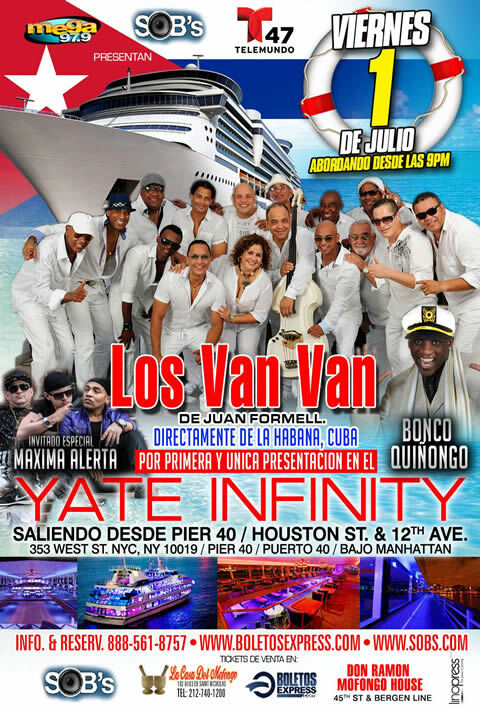 As part of this year's Concert Cruises, S.O.Bs in New York is presenting Los Van Van in a special concert on the Infinity Yacht, Friday July 1, 2016. This is a 21+ show with doors opening at 9pm. 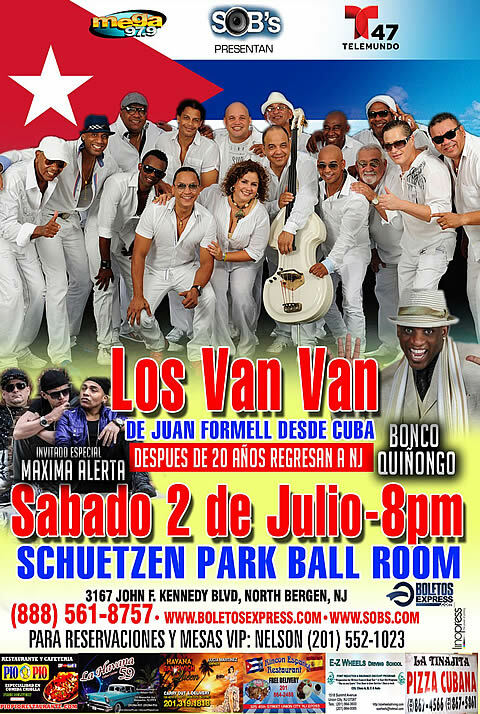 The following day you can see Los Van Van in New Jersey at Schuetzen Park located at 3167 Kennedy Blvd. North Bergen, NJ 07047. Doors open at 8pm. "History was made earlier this week when President Obama became the 2nd sitting American president to visit Cuba in nearly 90 years, and while all eyes (and ears) continue to await the results of the recent thaw in US-Cuban relations, it is clear that the Bay Area has had a long-standing love affair with Cuban music for decades." -- Pianist & Composer Rebeca Mualeón, form an interview with Jesús Alemañy of ¡Cubanismo!, performing at the SF Jazz Center this week March 24-28. Click here to read the full interview. ¡Cubanismo! 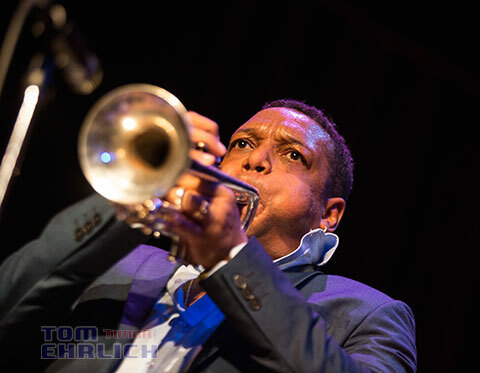 founder Jesús Alemañy came to fame as a brilliant 15-year-old trumpet player for the iconic Cuban group Sierra Maestra – the band that led to the formation of Buena Vista Social Club – and carries on in that fiery Cuban tradition. Alemañy’s all-star orchestra plays sizzling dance tunes full of swaggering horn charts and wild polyrhythms that recall the vintage big-band son sound of the 1940s and 50s, embracing traditional rumba, cha-cha, danzon and pa’ca rhythms arranged in the classic descarga, or “jam session” style. Their 1996 self-titled debut album was a global smash, listed in the Top Ten lists of Billboard, Latin Beat, and Afropop Worldwide that year. In the two decades that followed, ¡Cubanismo! have toured the world relentlessly, while releasing a series of recordings that have expanded the venerated son sound to incorporate influences from American music, in particular the swampy, second-line rhythms of New Orleans, as well as the dancehall sounds of Jamaica. Since its beginning, ¡Cubanismo! has been a proving ground for many of Cuba’s greatest young musicians including pianist Alfredo Rodríguez and bassist Carlitos del Puerto, and the current incarnation is no exception, presenting a blazing ensemble of horns, rhythm section and percussion that transforms a concert hall into a hot night in Havana. 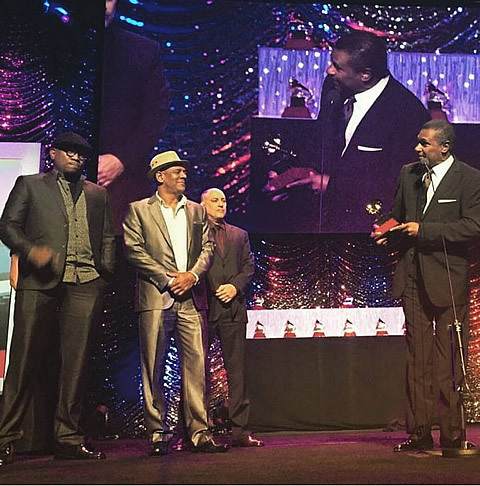 Septeto Santiaguero "El relevo está garantizado"
Early yesterday, the 58th Grammy Award® Nominations were announced. Latin Grammy® winners Septeto Santiaguero & José Alberto El Canario are nominated for Best Tropical Latin Album for their collaborative tribute to Cuban music icons Los Compadres (No Quiero Llanto - read our review here) and singer-songwriter Alex Cuba (real name Alexis Puentes, twin brother of Adonis Puentes) is nominated for Best Lain Pop Album. In Best Latin Jazz Album, Cuban pianist Gonzalo Rubalcaba is nominated with his record "Suite Caminos". 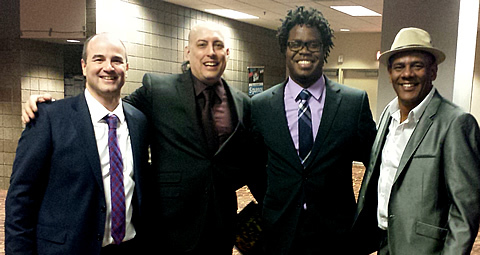 Congratulations to all the Nominees! 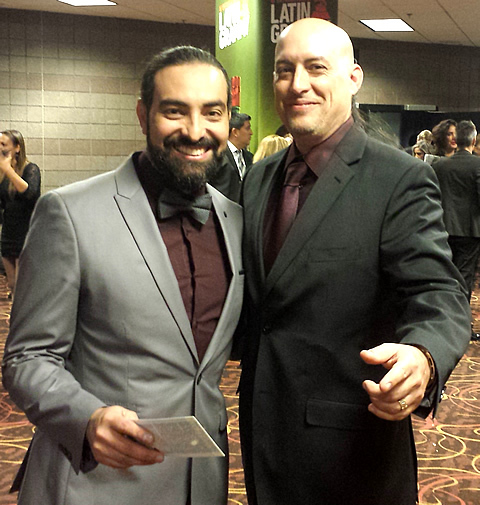 This follows good times in Las Vegas a few weeks ago at the 16th annual Latin Grammys. 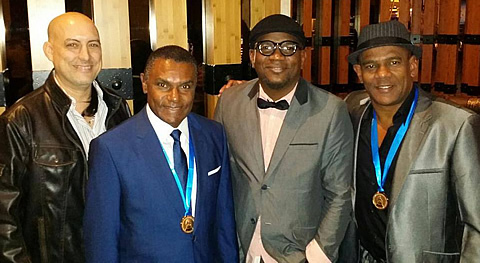 I had the pleasure of hanging out with Alden González (producer & manager) and Fernando Dewar (leader, tres) of El Septeto Santiaguero, our Beyond Salsa star and pianist extraordinaire Iván "Melón" Lewis (who was nominated for Best New Artist and Best Latin Jazz Album, and also performed in the pre-telecast) and our other Beyond Salsa star, bassist, composer, vocalist and all around virtuoso Alaín Pérez. 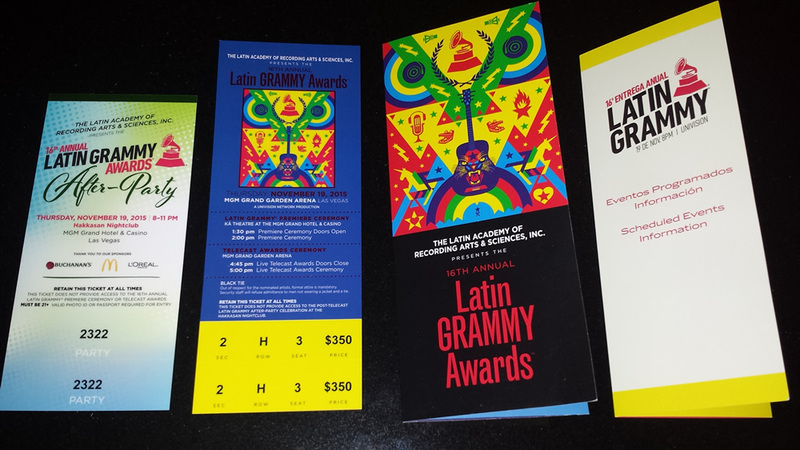 As anyone who has visited the island and experienced the level of musicianship, it was interesting to get their viewpoints on what we were seeing and hearing at the Latin Grammy show compared to the performances in Cuba. 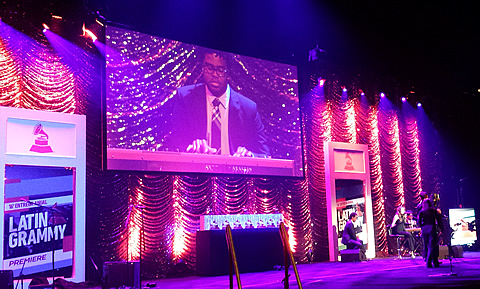 It is a televised event after all, and it was GREAT, but my opinion is that after a while the general tendency to rely on flamboyant and pyrotechnic visual elements and stimulation starts eroding the music and sound. The Kennedy Center Honors have succeeded in staying away from this trap and continue delivering breathtaking musical performances. Also I was sad to notice that the Best Salsa Album category was removed from the telecast and into the not-televised part (the pre-telecast, now called "the premier"). We had one (1) single tropical number in the whole show. Jeez... that wasn't too cool. One soundbyte that has stayed with me from that night -- courtesy of Alden -- is that he mentioned that "precisely now that the Buena Vista Social Club is saying goodbye to the stage, Septeto Santiaguero emerges as a world-class group, taking the very best of Cuban traditional music to every part of the world". This is a translation from a Cuban newspaper (source), that leaves out the notion of the "passing of the torch" or "passing the baton". It's much better in Spanish: "...(Alden) aprovechó para agradecer a Alain Pérez y Sonlokos -- competidores cubanos en la misma categoría -- las muestras de admiración y respeto. “Lo más importante es que se ha impuesto la música tradicional cubana y ahora, que el Buena Vista Social Club ya no estará más en los escenarios internacionales, el relevo está garantizado”. Pretty cool.